It is a well known fact that we physicians only start to earn in the later stage of our lives, compared to the general population. This is primarily because we spend around ten years of our lives in school trying to earn our medical degrees, that does not yet include the years spent in specialty and subspecialty training. When we come to think of it, most physicians actually get to start or embark in most milestones in life rather late - we earn our medical licenses at about 25 or 26 years old (I for one, earned my license when I was 26 years old), some start to build their families and have kids at around 28 years old to 30 years old, and most importantly, we start building our financial future around this age also, or maybe even later than that, like me. 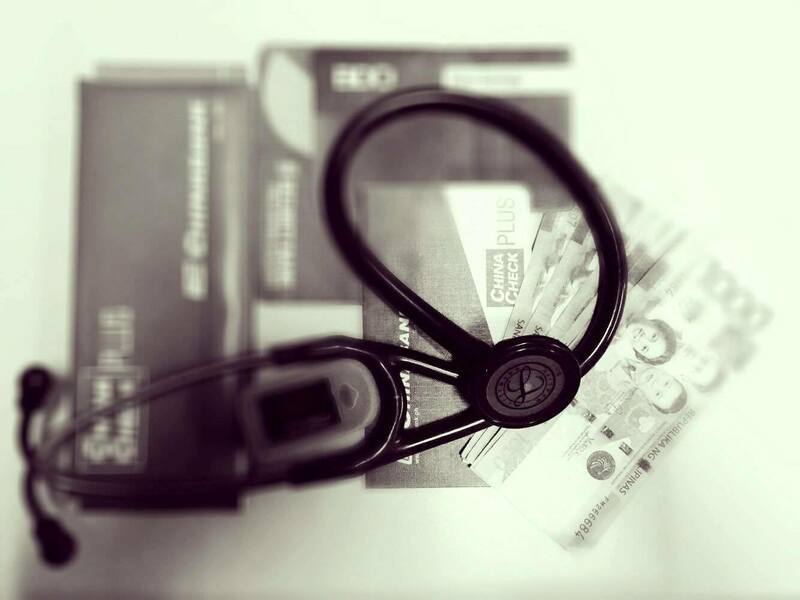 So why are doctors a special bunch when it comes to building financial wealth? 1. We bury ourselves in our medical books while our counterparts start earning. After graduating from college at around 20 years old, we are in for the journey of our lives, as we jump from the pot to the fire by the time we enroll ourselves in medical school. Back to our topic of building financial wealth, while our high school batch mates were already starting to earn, we were still beginning to achieve our dreams of becoming doctors. 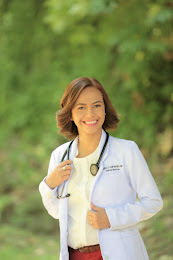 By the way, since our educational system has recently implemented the K-12 system, this only means that the incoming batches of medical students will come in two years later - or older - than we did during our time. 2. Even when we have earned our medical licenses, we continue to bleed ourselves dry as we slave ourselves away while on training for our chosen specialty. We almost jumped over the roof when we knew we passed the board exams. It was such a nice feeling, knowing that from that time on, we will be addressed as "Doc" and all our efforts in medical school have finally paid off. However, passing the boards is just the start of another rollercoaster ride since our journey does not stop there. Residency is next in line, as we choose and decide whether we want to be pediatricians, internists, obstetricians, or surgeons. Read more about entering residency training here. By the time we step into slavery - I mean residency - our counterparts have already established their niches in their careers. We earn our first salaries when we go into residency but compensation is only about 20,000.00 (at least during my time of training and maybe that has increased a bit now) in Philippine currency, still exclusive of taxes. In this day and age, imagine what life a monthly compensation of Php. 20,000.00 would give. That does not include taxes, and contributions to PhilHealth and SSS. A single physician-in-training who is self-supporting and living alone and far away from home, has to do some tight budgeting with that amount, and try to make it sufficient to pay for rent, gas, decent clothes, laundry, food, and yes - coffee. During our time, books would have to be included in the list but with the advent of e-books that would not be much of a problem. In my case, I availed of the free board and lodging offered by the hospital during my (first) stint in residency. There are some resident doctors who are blessed enough to have their lifeline still active, with continuous financial support from their parents. However a vast majority of the resident doctors' population are striving - or may be starving - to make ends meet. This is actually a challenge because the prevailing notion is that once an individual has passed the phyisician licensure exam, it is almost always equated to having a lot of money, almost instantly, like magic! But hell, no, I am sorry to disappoint you guys, it is not always the case. At this stage the new physician is at last and at least earning but he or she is either under-compensated or the cash-on-hand is just enough for the rookie doctor's basic needs. The common priority therefore at this time is to make ends meet, rather than setting aside a certain amount for savings. 3. 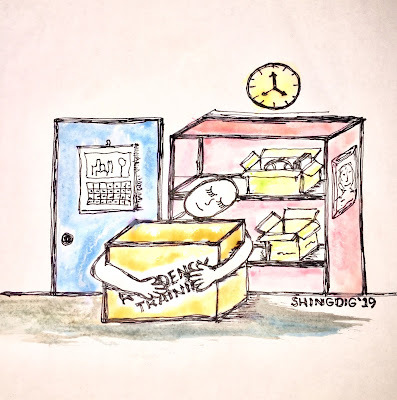 Others who chose not to go into training start earning a lot of bucks but... Moonlighting is the term coined for physicians who are working as doctors in certain hospitals but are not under a specialty training program. Moonlighting is a very attractive option for new doctors specially that it offers a good take-home pay, sans the psychological, emotional, and physical battery that goes with residency training. However, for someone who has just started earning and has a lot of wants, saving might still be on the last part of the list. The newly adapted ideologies of the young generation today, particularly YOLO and FOMO, can also, in a way hamper these young individuals from starting their journey to financial freedom. You cannot blame someone who has just held in his or hands a 5-digit salary that is at least amounting to 30,000 pesosesoses, to finally buy the latest mobile phone he or she has been eyeing, or that G-shock watch of his favorite color, or to finally go to that dream destination whether that is inside or outside the country. It is a fact that there is a lot of money in moonlighting. Those moonlighters are the rich bunch in the line of rookie physicians. Yes, they are already starting to earn big time but building financial wealth or maybe even thinking of retirement are among the least of their priority. To moonlight, or not to moonlight? Read more here. 4. Even when we are done training in our specialty and subspecialty, we realize even more that it is a dog-eat-dog world that has been waiting for us at the finish line. A doctor who has just graduated specialty and subspecialty training will finally take a breath of exhilaration. He or she is about to start the rest of his or her life as a medical practitioner. Another biting reality will reveal itself during this stage. The physician who has just started practicing realizes that money does not come easy. This is at least for the majority of new physicians who have not inherited a practice from their relatives. There will always be exceptions to the rule you know and these lucky ones are that. Good for them. One has to spend and count hours, and even days, sitting patiently and painstakingly at the clinic to wait for patients. While I do this at the clinic, I keep reminding myself, "This is a waiting game." Repeat three to four times a minute. I am going to tell you a secret. You know what I do inside my clinic while I wait for patients? I organize my tasks. I am really into To-Do Lists and so while waiting I check my progress, and tick off the items in my list that I have already accomplished or completed, or in the case of my monthly bills, those that I have already paid. There is still one thing that I love to do though while waiting for patients -- of course this one will just place a close second to sleeping while waiting. I cut a lot of paper. I cut old magazines and recycle them into envelopes. Actually I have made a lot of recycled envelopes already, that I am thinking of donating them to the church so they can be used as offertory envelopes. Their recycled lives would at least be spent for the greater glory of God. So can you imagine now how many hours I have spent inside the clinic waiting for patients? However, whether you like it or not, the waiting will soon be over. To put it in another light, there are days that are not spent waiting. There are always firsts, like the day when your first patient walks into the clinic. Then you get to earn your first professional fee. Oh, what a joyful moment that was! I felt like dancing round and round, and at the same time jumping, while holding my secretary's hands. 5. Financial management is never taught in medical school. This is very true. Maybe medical school administrators can invite resource speakers who will speak to us about financial management. It would also help if resource speakers on taxation would also be allowed to speak to medical students, or if not to those newly-minted physicians, so it would not come as a shock to them, how much they have to pay for taxes, how to get a TIN, and if they really need to employ the services of a book keeper or accountant. If you are like most physicians (or any other individual regardless of profession) who have not yet started building your financial wealth, do not be disheartened. It is not too late to start. I tell you, I have been there – got into a credit card mess, brought all the gadgets that I want during my moonlighting stint, and there was a time when I barely had savings – but I was able to rise above all that, and I believe that you can, too. Hoping to share more to you soon so that you will be inspired to start building your financial wealth and secure your future. Together let us all aim for financial independence and eventually, aim to achieve financial freedom wherein we would not have to work for the money at all, but our money will be working for us. I tell you, that is very possible.